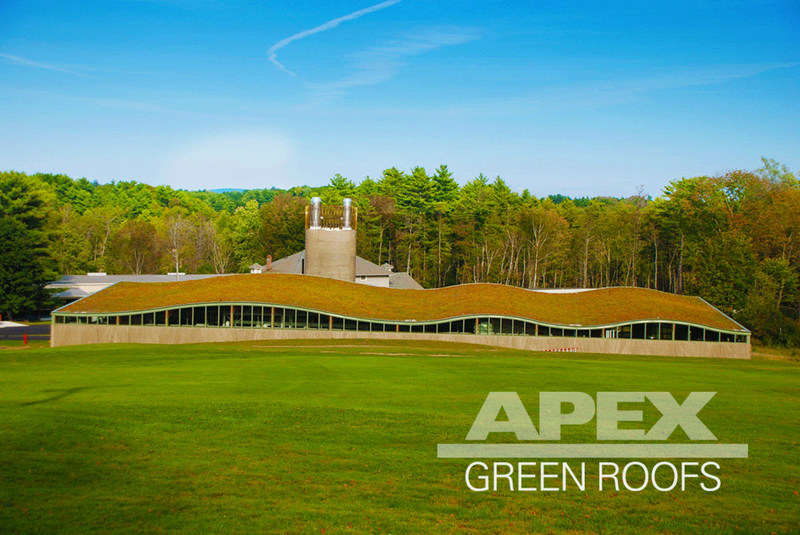 Installed in July, 2012, the green roof on the Hotchkiss School in Lakeville Connecticut's newest Biomass Treatment Center is an exciting addition to an already beautiful campus. The Biomass Treatment Center is a LEED Gold certified building that will provide heating for the Hotchkiss School's campus buildings. The sedum carpet green roof system was provided by ZinCo USA on top of a Sika Sarnafil waterproofing membrane. The roofing contractor, Greenwood Industries of Millbury, M.A. performed the installation of the waterproofing membrane and sub-contracted the installation of the ZinCo USA green roof system to Apex Green Roofs of Somerville, MA.